The easy way to check your IR remote for proper operation. Simple operation : point the remote at the sensor and push any button. 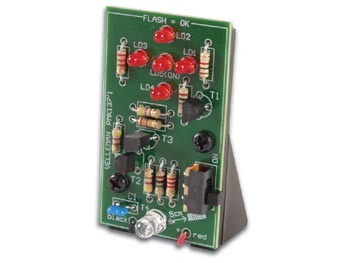 4 flashing LEDs indicate remote operation.